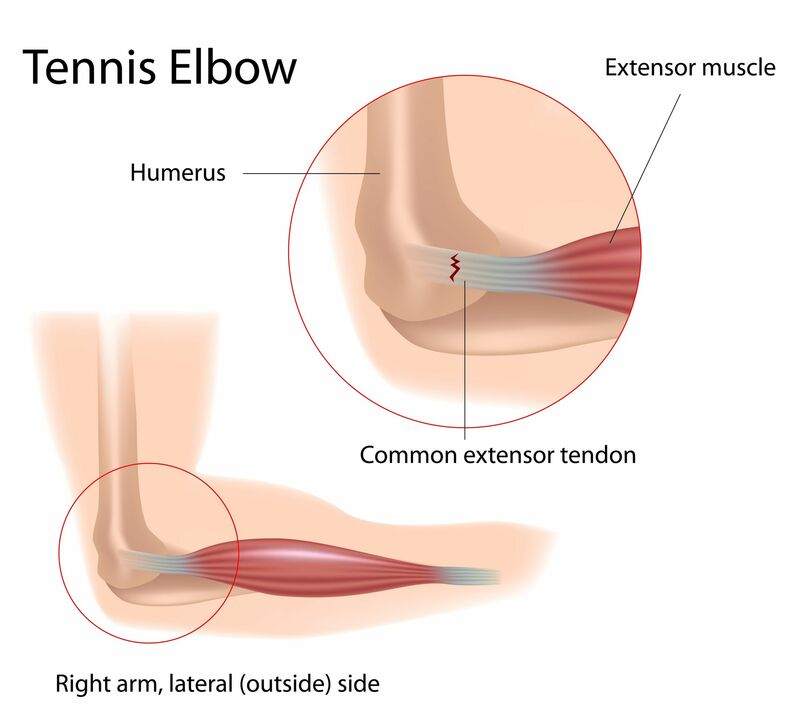 Tennis Elbow - Definition, Anatomy and Causes - Jeffrey H. Berg, M.D. Tennis elbow, known medically as lateral epicondylitis, is one of the most common causes of elbow pain. Although not limited to those who play tennis, this disorder was so named because it often is found in those who repeatedly extend their wrist against resistance with the elbow straight, as seen during a tennis backhand. Tennis elbow is a painful elbow condition that is caused by overuse of particular tendons on the outside (lateral side) of the elbow. It typically occurs in people who are in their 30’s and older and is rarely seen in younger people. Often the process can resolve on its own or with nonsurgical treatment but on occasion the damage cannot heal and surgery is required to cure it. These bones are held together by a number of ligaments, muscles and tendons. Tendons attach muscle to bone. Symptoms of tennis elbow occur because some of the tendons at the elbow get injured. 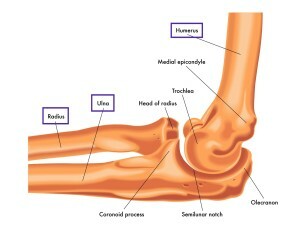 The forearm muscles arise from elbow tendons attached to the outside of the end of the humerus at the lateral epicondyle. Tennis elbow arises when microscopic tears, degeneration and inflammation occur in or near some of these tendons. The most common tendon affected is the ECRB (Extensor Carpi Radialis Brevis). Tennis elbow occurs from overuse of the elbow and in particular the tendons on the outside of the elbow. This is commonly seen in those participating in racquet sports, carpenters, painters and others who frequently use the extensor muscles of their forearm. The basic cause of tennis elbow is a mismatch between what level of activity is “asked” of the elbow tendons and what they “are in shape” to do. When what is asked is greater than what the tendon is in shape to do (i.e. flexibility, strength, endurance, etc. ), the tendon becomes injured. At lower levels of damage and with enough rest and time, this damage can heal. If there is further overuse and the tissue is not allowed to heal, damage will accumulate. At some point, the damage becomes so great that the tendon can lose its ability to heal and chronic pain ensues. Overuse of the tendon can occur through two basic mechanisms. The most common mechanism is that the level of activity is too great for the normal tendon. Often this occurs when one takes up a new activity or increases the frequency or intensity of an activity that they already participate in. 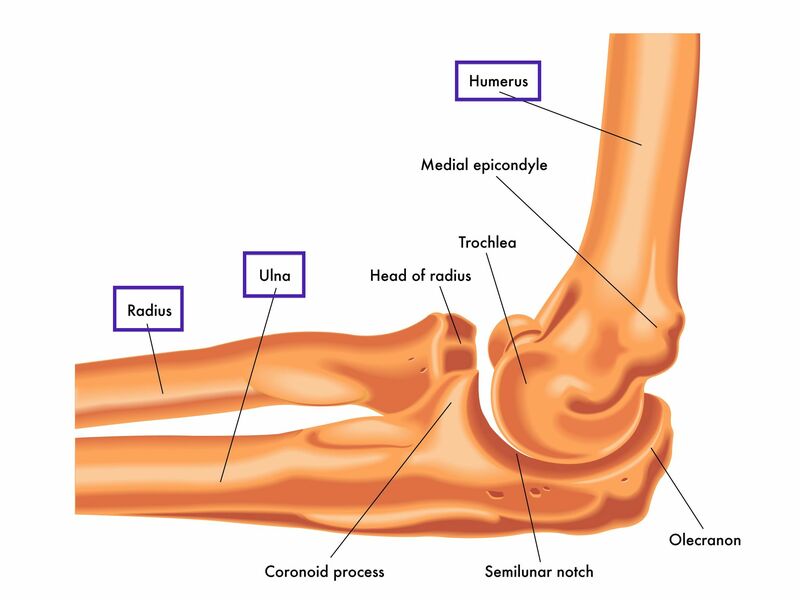 The second common mechanism is that the tendon gets damaged from some external source, such as banging the outside of the elbow against the wall. This reduces the “condition” of the elbow and in this state, low level of activities or even typical activities of daily living can cause progressive degeneration and injury to the involved tendon(s). Look for future posts about Tennis Elbow in which the symptoms, treatment options, prognosis and preventative strategies will be discussed. Sorry. None on this site. A good starting point may be: https://jeffreybergmd.com/resource-links/ Particularly you may want to try the AAOS link. Hope that helps.